Demi does. Mariah does. So does your product have a better side? Both Demi Moore and Mariah Carey apparently prefer being photographed from their 'better side', and just like them, the way you showcase your product can impact its saleability. So let's look into the behavioural economics of product orientation. 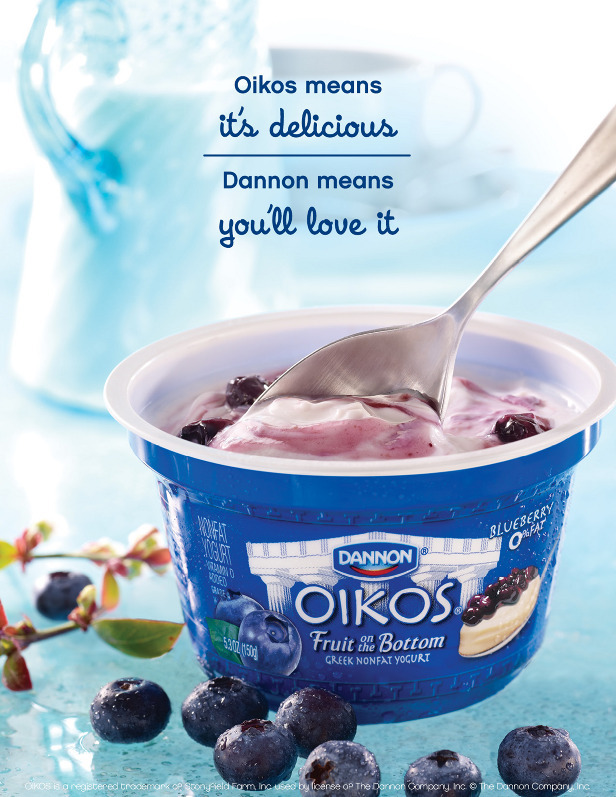 Imagine you are looking at a magazine ad for a luscious bowl of creamy vanilla yogurt. Next to the bowl is a spoon. Now here's the interesting part. 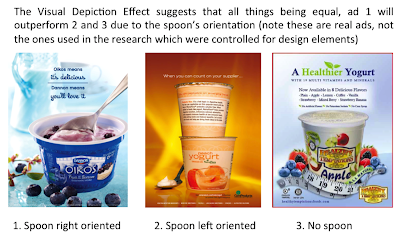 If the spoon is on the right, the ad will be significantly more effective than if the spoon is on the left. And further, an ad with a spoon will outperform one with no spoon at all. Welcome to the Visual Depiction Effect. "simply orienting a product toward one's dominant (vs. non-dominant hand) in a visual advertisement leads to increases in imagined product use". Cool hey? And of course it's not just yogurt. 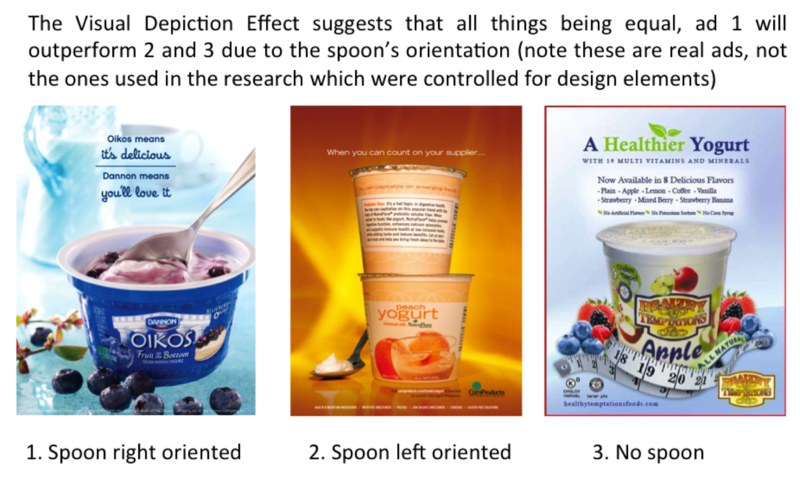 Researchers Ryan Elder and Aradhna Krishna used images of yogurt, hamburgers, cake, soup and mugs to test how the orientation of the hand or spoon influences purchase intent, and found that when it matches with the consumer's handedness, intent is heightened. This research has significant implications for how you chose to display your products in advertisements, on websites and even on the shelf. As a rule of thumb, it suggests you should consider placement to appeal to the right hand side. Now for left handers this might be hard news to hear but because you represent only around ten percent of the population, your purchase intent might not be the priority...unless of course it's an ad for specialty left handed products and it appears in a left-handed magazine. What's behind the Visual Depiction Effect? Well, it's technically not whether the product is positioned to the right or left. What actually drives the reaction is how the depiction stimulates the brain of your customer, and because we tend to operate most of the time at an automatic response level, seeing something that is close to how you would really use it (ie spoon on right) is much easier to absorb than having to reinterpret what to do (ie spoon on left or no spoon at all). By extension, this means that if your product tends to be used in the left hand of a right-handed person (eg a fork), you would be better positioning it on the left. Whilst it was not the subject of Elder and Krishna's research, I would be curious to know how the Visual Depiction Effect applies to products that are used in front of a mirror (eg toothbrush, hairdryer, cosmetics), where the dominant hand and visual memory may be at odds. So the major take from this research is simple. Showcase your product as it would be used, reducing the amount of interpretation your customer has to do, and helping them imagine themselves interacting with your product. Tasty. Interested in finding out more? Email me at bri@peoplepatterns.com.au for an obligation free chat about your business. 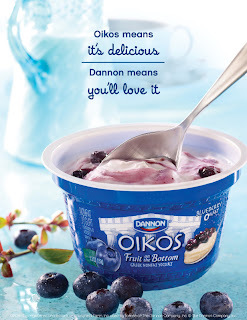 Note, images of yogurt ads depicted in this articles were not those used in research.